“WE HAVE POWER TO TRAMPLE THE DEVILS HEAD BECAUSE HE IS A SNAKE/SERPENT!! AMEN. EPHESIANS 6:12 SAYS FOR WE WRESTLE NOT AGAINST FLESH AND BLOOD, BUT AGAINST PRINCIPALITIES, AGAINST POWERS, AGAINST THE RULERS OF THE DARKNESS OF THIS WORLD, AGAINST SPIRITUAL WICKEDNESS IN HIGH PLACES. DEUTERONOMY 3:22 – YE SHALL NOT FEAR THEM: FOR THE LORD YOUR GOD HE SHALL FIGHT FOR YOU. HALLELUJAH. THANK YOU JESUS. GLORY TO GOD. WHEN I GET IN GOD’S WORD I CAN’T HELP BUT BE SO EXCITED BECAUSE HIS WORD IS SO VERY AWESOME AND IT KEEPS ME ENCOURAGED, STRENGTHENED AND EVERYTHING THEREFORE, I CAN’T HELP BUT PRAISE MY ALMIGHTY GOD EL SHADDAI. HALLELUJAH. THANK YOU JESUS!! I PRAY THAT I HAVE SAID SOMETHING TO ENCOURAGE SOMEONE THIS DAY. GOD LOVES YOU AND SO I. HAVE A WONDERFUL AFTERNOON!! GOD BLESS YOU!! MARK 8:36 – FOR WHAT SHALL IT PROFIT A MAN, IF HE SHALL GAIN THE WHOLE WORLD, AND LOSE HIS OWN SOUL? WITHOUT JESUS WE CAN DO NOTHING!!!!! AMEN. PRAISE GOD. ROMANS 8:28 – AND WE KNOW THAT ALL THINGS WORK TOGETHER FOR GOOD TO THEM THAT LOVE GOD, TO THEM WHO ARE CALLED ACCORDING TO HIS PURPOSE. PSALM 68:35 – O GOD, THOU ART TERRIBLE OUT OF THY HOLY PLACES: THE GOD OF ISRAEL IS HE THAT GIVETH STRENGTH AND POWER UNTO HIS PEOPLE. BLESSED BE GOD. WE ALL SHOULD FAST AND PRAY, MEDITATE ON GOD’S WORD ABOUT STAYING IN HIS PRESENCE BECAUSE IN HIS PRESENCE IS THE FULLNESS OF JOY AND THE JOY OF THE LORD IS OUR STRENGTH. AMEN. THANK YOU JESUS. PRAISE GOD. HALLELUJAH!!! I PRAY THAT I HAVE SAID SOMETHING TO ENCOURAGE SOMEONE THIS MORNING. DECLARE THE WORD OF GOD OVER YOUR LIFE EVERYDAY. REGARDLESS OF WHAT YOU ARE GOING THROUGH BECAUSE YOU MUST NOT FORGET THAT JESUS WILL NEVER LEAVE NOR FORSAKE YOU AND HE GOT ALL POWER IN HIS HANDS THE DEVIL IS ALREADY DEFEATED!!! AMEN. GOD LOVES YOU AND SO DO I. YOU HAVE TO PLEAD THE BLOOD OF JESUS OVER EVERYTHING IN CHRIST JESUS NAME BECAUSE PHILIPPIANS 2:10 SAYS – AT THE NAME OF JESUS EVERY KNEE SHOULD BOW, OF THINGS IN HEAVEN, AND THINGS IN EARTH, AND THINGS UNDER THE EARTH; THE POINT I WANT TO MAKE IS THAT ALL YOU HAVE TO DO IS CALL ON JESUS IT DOESN’T MATTER WHAT’S GOING ON IN YOUR LIFE. THERE IS NOTHING TOO HARD FOR GOD!! EPHESIANS 3:20 – NOW UNTO HIM THAT IS ABLE TO DO EXCEEDING ABUNDANTLY ABOVE ALL THAT WE ASK OR THINK, ACCORDING TO THE POWER THAT WORKETH IN US. HAVE A GLORIOUS DAY IN CHRIST JESUS!!!! EL SHADDAI IS SO AWESOME!!! Categories "ALMIGHTY GOD EL SHADDAI PROVIDES! ", "INSPIRING SCRIPTURES PART NINE:”, "READ GOD's WORD AND PRAY UNTO HIM IN JESUS NAME! !, "SIT IN THE AWE OF GOD", BEING OBEDIENT TO THE SPIRIT OF GOD, BLESS THE LORD FOR HE IS GOOD!! !, ENCOURAGING AND EQUIPPING THE SAINTS MATERIAL FOR BATTLE., FAITH, GETTING TO KNOW YOUR BIBLE, GOD IS AWESOME, GOD YOU'RE BIGGER THAN EVERYTHING AND EVERYONE!! HALLELUJAH. PRAISE GOD., GOD's ANOINTING, GOD WILL FIGHT YOUR BATTLES, GRACE, HOPE, I BELONG TO YOU O' GOD, JOY, JOY THAT SURPASSES ALL UNDERSTANDING, LET GOD'S PROMISES WORK IN YOUR LIFE, LONGSUFFERING, NOT BY MIGHT, NOR BY POWER, BUT BY MY SPIRIT, SAITH THE LORD OF HOSTS, OUR DAILY MEDITATION SCRIPTURES., PEACE, RIGHTEOUSNESS, SPIRITUAL HUNGER, TRUST, UNMERITED FAVOR, WE SHOULD LIVE LIKE JESUS CHRIST:, WISDOM, WORSHIP. (22) LET US DRAW NEAR WITH A TRUE HEART IN FULL ASSURANCE OF FAITH, HAVING OUR HEARTS SPRINKLED FROM AN EVIL CONSCIENCE, AND OUR BODIES WASHED WITH PURE WATER. I PRAY THAT I HAVE SAID SOMETHING TO ENCOURAGE SOMEONE THIS MORNING AND IF YOU WANT TO GET CLOSER TO GOD I HAVE RESEARCHED AND IS STILL RESEARCHING FOR MORE GREATER SCRIPTURES IN THE HOLY BIBLE ON HUNGER AND THIRST FOR OUR ALMIGHTY GOD EL SHADDAI BECAUSE I TRULY DESIRE MORE OF HIM!! IT’S GOOD TO KEEP THE FIRE IN OUR HEARTS BURNING FOR OUR LORD AND SAVOR JESUS CHRIST. HALLELUJAH!! PRAISE GOD. GOD LOVES YOU AND SO DO I. HAVE A JOYOUS DAY!!! Categories "ALMIGHTY GOD EL SHADDAI PROVIDES! ", "INSPIRING SCRIPTURES PART SIX:”, "READ GOD's WORD AND PRAY UNTO HIM IN JESUS NAME! !, "SIT IN THE AWE OF GOD", BEING OBEDIENT TO THE SPIRIT OF GOD, BLESS THE LORD FOR HE IS GOOD!! !, EL SHADDAI IS AWESOME!!! HALLELUJAH, ENCOURAGING AND EQUIPPING THE SAINTS MATERIAL FOR BATTLE., EXPECTED GOALS BY FAITH IN CHRIST JESUS, FAITH, GOD IS AWESOME, GOD's ANOINTING, GOD WILL FIGHT YOUR BATTLES, GRACE, HOPE, I BELONG TO YOU O' GOD, JOY, JOY THAT SURPASSES ALL UNDERSTANDING, LET GOD'S PROMISES WORK IN YOUR LIFE, LONGSUFFERING, NOT BY MIGHT, NOR BY POWER, BUT BY MY SPIRIT, SAITH THE LORD OF HOSTS, OUR DAILY MEDITATION SCRIPTURES., PEACE, RIGHTEOUSNESS, SPIRITUAL HUNGER, THE PROMISES OF THE BIBLE, TRUST, UNMERITED FAVOR, WE SHOULD LIVE LIKE JESUS CHRIST:, WISDOM, WORSHIP. (7) THE LORD SHALL PRESERVE THEE FROM ALL EVIL: HE SHALL PRESERVE THY SOUL. (8) THE LORD SHALL PRESERVE THY GOING OUT AND THY COMING IN FROM THIS TIME FORTH, AND EVEN FOR EVERMORE. (9) THOSE THINGS, WHICH YE HAVE BOTH LEARNED, AND RECEIVED, AND HEARD, AND SEEN IN ME, DO: AND THE GOD OF PEACE SHALL BE WITH YOU. GOD LOVES YOU AND SO DO I. HAVE A BLESSED DAY. GOD BLESS YOU!!! Categories "INSPIRING SCRIPTURES PART FIVE:”, EL SHADDAI IS AWESOME!!! HALLELUJAH, ENCOURAGING AND EQUIPPING THE SAINTS MATERIAL FOR BATTLE., FAITH, GETTING TO KNOW YOUR BIBLE, GOD IS AWESOME, GOD YOU'RE BIGGER THAN EVERYTHING AND EVERYONE!! HALLELUJAH. PRAISE GOD., GOD's ANOINTING, GOD WILL FIGHT YOUR BATTLES, GRACE, HOPE, I BELONG TO YOU O' GOD, JOY, JOY THAT SURPASSES ALL UNDERSTANDING, LET GOD'S PROMISES WORK IN YOUR LIFE, NOT BY MIGHT, NOR BY POWER, BUT BY MY SPIRIT, SAITH THE LORD OF HOSTS, OUR DAILY MEDITATION SCRIPTURES., PEACE, RIGHTEOUSNESS, SPIRITUAL HUNGER, THE PROMISES OF THE BIBLE, TRUST, UNMERITED FAVOR, WE SHOULD LIVE LIKE JESUS CHRIST:, WISDOM, WORSHIP. (7) BUT WHAT THINGS WERE TO ME, THOSE I COUNTED LOSS FOR CHRIST. (19) AND TO KNOW THE LOVE OF CHRIST, WHICH PASSETH KNOWLEDGE, THAT YE MIGHT BE FILLED WITH ALL THE FULLNESS OF GOD. HALLELUJAH!! GLORY TO GOD. HALLELUJAH. HALLELUJAH. HALLELUJAH!!! 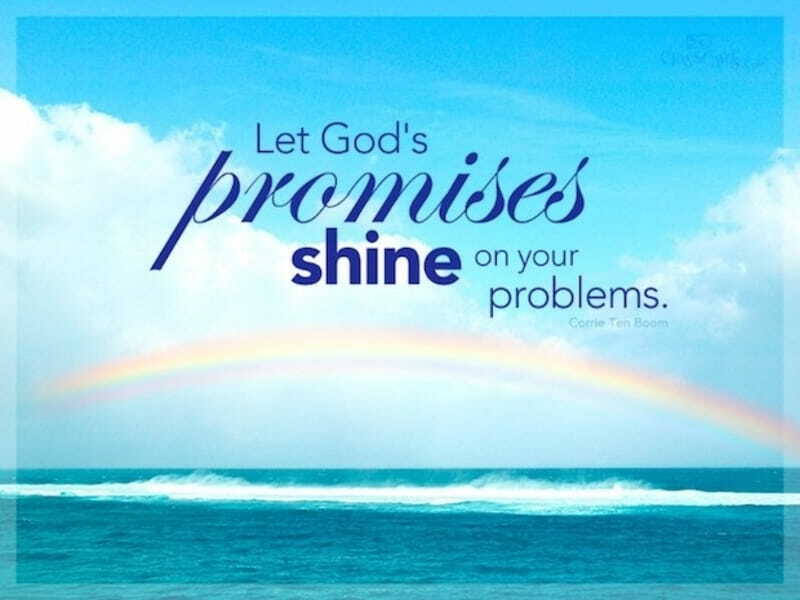 I PRAY THAT I HAVE SAID SOMETHING TO ENCOURAGE SOMEONE THIS MORNING BECAUSE I WANT YOU ALL TO REMEMBER THAT YOUR BACK IS AGAINST THE WALL GOD WILL MAKE A WAY BECAUSE ISAIAH 54:17 SAYS THERE IS NO WEAPON FORMED AGAINST US SHALL PROSPER. GOD MAKES A WAY HE CAUSES MOUNTAINS TO FALL. HE WILL MAKE YOUR ENEMY YOUR FOOTSTOOL. I DON’T KNOW HOW BUT, HE HE DOES IT. PRAISE MY ALMIGHTY GOD EL SHADDAI. I LOVE HIM WITH ALL MY HEART, WITH ALL MY SOUL, WITH ALL MY MIND, AND EVERYTHING WITHIN MY BEING I DO LOVE HIM!!! HALLELUJAH. I KNOW WE ALL GO THROUGH HARD TIMES SOMETIME, TOUGH TRIALS, TRIBULATIONS BUT, WE MUST STAY FOCUSED, ROOTED AND GROUNDED IN CHRIST JESUS OUR LORD AND SAVOR!!!! AMEN. STUDY THE WORD OF GOD I MEAN EAT IT LIKE YOU ARE EATING PHYSICAL FOOD BECAUSE IT IS BETTER THAN PHYSICAL FOOD AND IF YOU EAT THE WORD OF GOD FAST AND PRAY UNTO THE LORD YOU WILL LITERALLY SEE AND FEEL YOUR STRENGTH BUILDING UP, MORE CONFIDENCE, MORE FAITH, MORE PEACE, MORE JOY, MORE HOPE; IT’S REALLY UNEXPLAINABLE YOU’LL JUST HAVE TO TRY IT FOR YOURSELF AND PLEASE LET ME KNOW HOW YOU FEEL BECAUSE I AM PRAYING FOR EVERY SOUL THAT VISITS THIS SITE IN CHRIST JESUS NAME. AMEN. LET THE LORD HAVE HIS WAY. GOD LOVES YOU AND SO DO I. HAVE A BLESSED DAY!!! 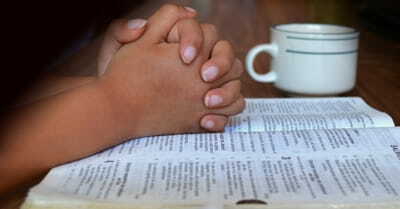 Categories "INSPIRING SCRIPTURES PART FOUR:", "READ GOD's WORD AND PRAY UNTO HIM IN JESUS NAME! !, ENCOURAGING AND EQUIPPING THE SAINTS MATERIAL FOR BATTLE., FAITH, GETTING TO KNOW YOUR BIBLE, GOD IS AWESOME, GOD's ANOINTING, GRACE, HOPE, LET GOD'S PROMISES WORK IN YOUR LIFE, LIGHT, LONGSUFFERING, NOT BY MIGHT, NOR BY POWER, BUT BY MY SPIRIT, SAITH THE LORD OF HOSTS, OUR DAILY MEDITATION SCRIPTURES., PEACE, RIGHTEOUSNESS, SPIRITUAL HUNGER, THE PROMISES OF THE BIBLE, TRUST, WE SHOULD LIVE LIKE JESUS CHRIST:, WISDOM, WORSHIP. PSALM 27:4 – ONE THING HAVE I DESIRED OF THE LORD, THAT WILL I SEEK AFTER; THAT I MAY DWELL IN THE HOUSE OF THE LORD ALL THE DAYS OF MY LIFE, TO BEHOLD THE BEAUTY OF THE LORD, AND TO ENQUIRE IN HIS TEMPLE. 2 CORINTHIANS 1:3 – BLESSED BE GOD, EVEN THE FATHER OF OUR LORD JESUS CHRIST, THE FATHER OF MERCIES, AND THE GOD OF ALL COMFORT. PSALM 57:9 – I WILL PRAISE YOU, O LORD, AMONG THE PEOPLE: I WILL SING UNTO THEE AMONG THE NATIONS. 1 CHRONICLES 16:34 – O GIVE THANKS UNTO THE LORD; FOR HR IS GOOD; FOR HIS MERCY ENDURETH FOREVER. PSALM 117:2 – FOR HIS MERCIFUL KINDNESS IS GREAT TOWARD US: AND THE TRUTH OF THE LORD ENDURETH FOREVER. PRAISE YE THE LORD. HAVE A BLESSED DAY!! Categories "ALMIGHTY GOD EL SHADDAI PROVIDES! 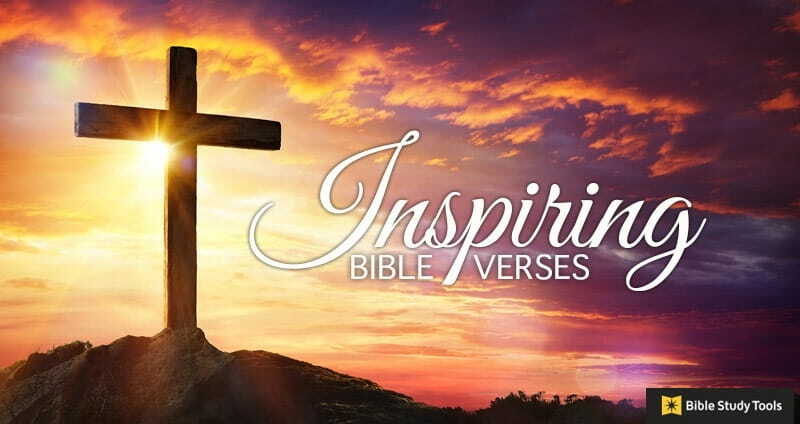 ", "INSPIRING SCRIPTURES, BLESS THE LORD FOR HE IS GOOD!! !, ENCOURAGING AND EQUIPPING THE SAINTS MATERIAL FOR BATTLE., GOD IS AWESOME, GOD WILL FIGHT YOUR BATTLES, GRACE, HOPE, JOY THAT SURPASSES ALL UNDERSTANDING, LONGSUFFERING, NOT BY MIGHT, NOR BY POWER, BUT BY MY SPIRIT, SAITH THE LORD OF HOSTS, OUR DAILY MEDITATION SCRIPTURES., PEACE, RIGHTEOUSNESS, SPIRITUAL HUNGER, THE PROMISES OF THE BIBLE, TRUST, UNMERITED FAVOR, WISDOM, WORSHIP. PROVERBS 2:9 HE THAT HATH A BOUNTIFUL EYE SHALL BE BLESSED; FOR HE GIVETH OF HIS BREAD TO THE POOR. 1 JOHN 3:17 – BUT WHOSO HATH THIS WORLD’S GOOD, AND SEETH HIS BROTHER HAVE NEED, AND SHUTTETH UP HIS BOWELS OF COMPASSION FROM HIM, HOW DWELLETH THE LOVE OF GOD IN HIM. I SERVE AN AWESOME, WONDERFUL GOD. AMEN. HE ALWAYS MAKE A WAY OUT OF NO WAY EVEN WHEN WE DON’T SEE A WAY. PRAISE GOD. WORDS CANNOT EXPRESS THE LOVE THAT I HAVE FOR MY ALMIGHTY GOD EL SHADDAI FOR HE KNOWS MY NAME HE PROTECTS ME, HE WALKS WITH ME, HE WALKS WITH ME AND TELLS ME I’M HIS CHILD. HALLELUJAH!! AMEN, WE MUST STAY IN THE CENTER OF HIS WILL LET HIS LOVING KINDNESS OVERTAKE US AND KEEP US IN HIS UNCHANGING HANDS. IT’S A DAILY THING THAT WE TALK TO HIM, COMMUNE WITH HIM, AND SURRENDER OUR WILL UNTO OUR HEAVENLY FATHER IN CHRIST JESUS NAME. I PRAY THAT I HAVE SAID SOMETHING TO ENCOURAGE SOMEONE THIS MORNING. GOD LOVES YOU AND SO DO I. HAVE A PEACEFUL DAY!! GOD BLESS YOU. Categories "ALMIGHTY GOD EL SHADDAI PROVIDES! ", FAITH, GOD IS AWESOME, GOD YOU'RE BIGGER THAN EVERYTHING AND EVERYONE!! HALLELUJAH. PRAISE GOD., GOD WILL FIGHT YOUR BATTLES, GRACE, HOPE, I BELONG TO YOU O' GOD, JOY, JOY THAT SURPASSES ALL UNDERSTANDING, LET GOD'S PROMISES WORK IN YOUR LIFE, LONGSUFFERING, OUR DAILY MEDITATION SCRIPTURES., PEACE, RIGHTEOUSNESS, SPIRITUAL HUNGER, TESTIMONIES, THE PROMISES OF THE BIBLE, TRUST, UNMERITED FAVOR, WISDOM, WORSHIP.